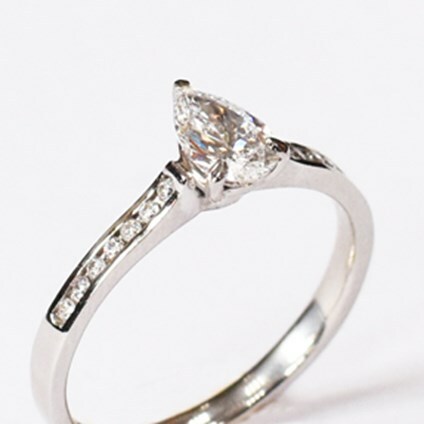 Bespoke Service - Trinity Goldsmiths - Nottingham. Exquisite antique, vintage and contemporary jewellery. With our industry leading in-house Matrix 8 CAD design system, we are ideally placed to realise all dreams and design features for bespoke jewellery. Our experts will take you through every part of the process from exchanging ideas, building the CAD design, helping you select your gem stones and organising a rapid prototype so you can see your design 3D before committing to your vision! As we buy all our diamonds and coloured stones individually, we are able to provide stones for customers to choose from thus being able to accommodate specifications in the quality and size of stone for the piece. We believe that this service is at the very core of our customer service beliefs, encompassing honesty, budget and advice on the very best look and value for money you can get out of your jewellery. The process of designing a piece of jewellery is a very special experience and we work hard to ensure that our customers take as much enjoyment from the journey as possible. To have your own piece of jewellery made, knowing that no one else will have the same, is something very special. Please telephone or call to arrange an appointment with one of our designers. The beginning of the process for bespoke jewellery is an exciting and interesting experience! It is our designers' role to extract as much information from our customers regarding their dreams and aspirations for their piece of jewellery and help them realise what is achievable within their remit of time, budget and vision. Our clients will often come in with pictures or images they have found featuring certain elements of their vision. Due to our large stock holding, we will often be able to present an example of those elements to ensure that is actually what the clients want. 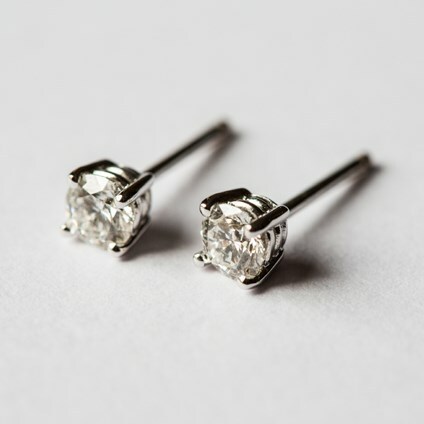 As our stock is never repriced, some items we have in stock may be at previous market prices and it is never a problem for us to utilise the stock we hold rather than going out into the international diamond market place to source the required stones. However, if we do not have a specific diamond or coloured gem stone in stock then, due to our relationship with diamond and other stone merchants, our resources are unlimited to sourcing the perfect stone for our clients. Our designers always hope to enter the bubble of our clients' imagination with all their idea's and aspirations, then translate and transform them into reality. Our designers use the industry-leading Matrix 8 computer animated design (CAD) programme. This means that the person you speak to and share your vision with will be the person building your idea into reality. The technicalities and intricacies of such a powerful design programme ensure that our designers are able to achieve an accurate recreation of your desired item of jewellery. By the very nature of the CAD design process, the design will be built, checked on the system for safety of stones within the design and then rendered, providing clients with an accurate image of their vision. Production of the prototype is the third stage of production of a bespoke piece of jewellery. Once the CAD has been viewed by customers and every element of the design has been accepted, the file is processed and the prototype is produced in the industry-leading Envision Tech High Resolution 3D Printer. This process takes only a matter of days and then clients are invited back to see the image of their design as a 3D model. The stones are often placed onto the prototype to give full effect of the upcoming finished article which enables clients to confidently proceed the order to conclusion or provide them with an opportunity to change a feature of the design before it is made. Because we are able to involve our clients in every part of this process, there is opportunity for the design to evolve, often leading to an item of jewellery even more special than the one they had originally envisioned. Upon completion of the bespoke piece it is quality checked by our designers to ensure absolute precision and security of the design. Once we are confident and happy with the item, the clients are then contacted to arrange fitting and collection. As members of the Institute of Registered Valuers, we are able to offer an insurance valuation where necessary for the piece as well as a written receipt itemising the individual elements of the item. 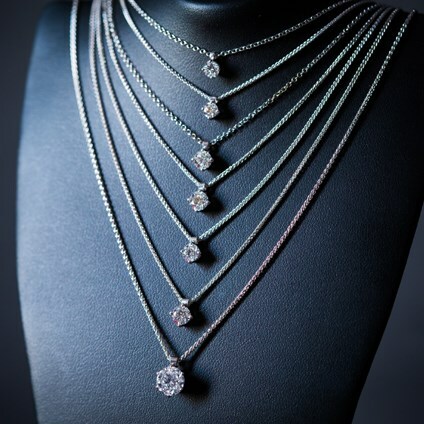 As with all our jewellery, we offer a complimentary clean and checking service for life. 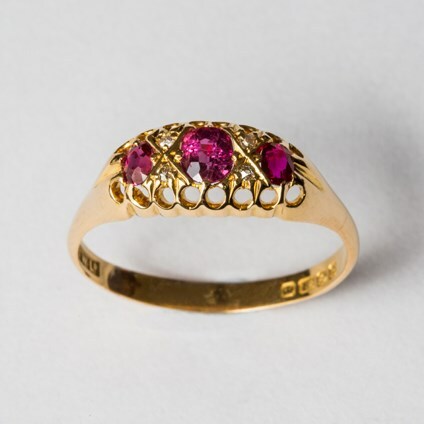 We therfore ask that the item be brought back into us at least twice a year for us to restore it to its original sparkle and to check the setting and stones.